SCIREQ Inc.: Join us at SOT 2015 in San Diego! 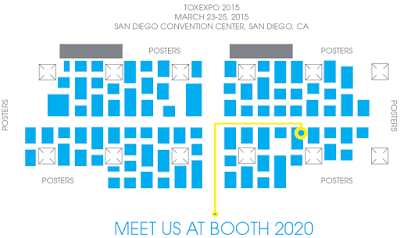 emka TECHNOLOGIES & SCIREQ will be at this year's Society of Toxicology’s Meeting and ToxExpo in San Diego, CA! We have a lot of equipment at our booth to demonstrate and want to take advantage of this opportunity to meet with you in-person so we can learn more about your research and how we can assist you in gathering more accurate, reproducible and comprehensive data. Visit our booth to discuss your research application!